There is a long standing tradition in comedy where a comedian is honored by “roasting” them. Other comedians would take turns telling jokes about the honored guest and generally performing a tribute to them. 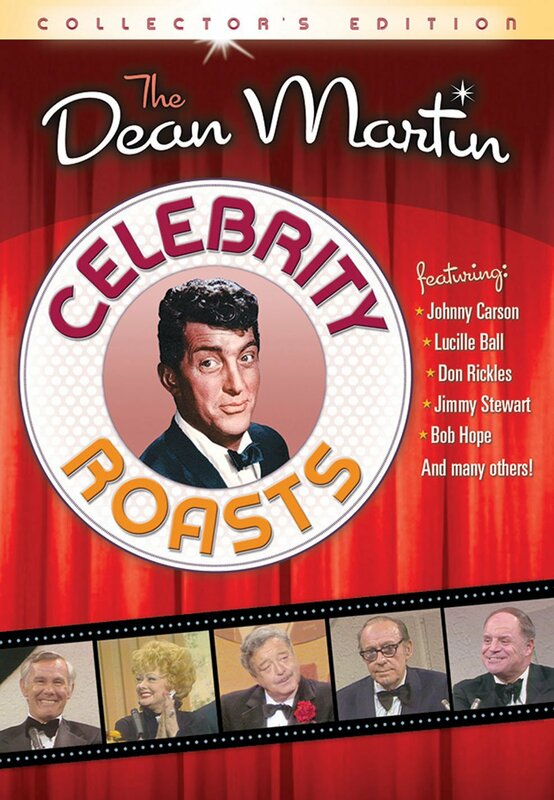 From 1974 to 1984, famed comedian and singer Dean Martin hosted a television program on NBC where each week a different celebrated luminary from the entertainment field was honored by the roast, and now The Dean Martin Celebrity Roasts have come to DVD from Time Life. The format of each roast generally the same where the show would open announcing the guest of honor and who would be taking to the dais to honor them within the following hour. Dean Martin would take to the podium and tell jokes and introduce each in turn until the final presenter was the honoree him or herself, so gets to make a few jokes back at the assembled guests. While Comedy Central has revived the roast in recent years, it is a different type of show than the Dean Martin Celebrity Roasts. The roasts hosted by Dean Martin tend to be less mean spirited and are more jovial towards the intended recipient of the joke. Dean Martin also attracted different kinds of guests. While Comedy Central attracts comedians with a biting wit, Dean Martin attracted some of the top comedians and actors of his day, as well as sports figures, politicians, and other celebrities who were pertinent to the guest. Since the Dean Martin Celebrity Roasts aired on national television, all of the jokes are clean but occasional innuendos are alluded to. While the Dean Martin Celebrity Roasts are 30 to 40 years old, the jokes still hold up. I often found myself laughing out loud at the humor, but many of the references are specific to that time. Certain celebrities and people of note that get mentioned may not resonate with younger viewers, but there are enough jokes that they will get that they would enjoy it too. The Dean Martin Celebrity Roasts are classics and really must be watched. The 6 DVD set I watched had 12 hours roasting Bob Hope, Johnny Carson, Jimmy Stewart, Sammy Davis Jr., Jack Benny, Lucille Ball, Kirk Douglas, Michael Landon, Jackie Gleason, Don Rickles, Joan Collins, and Dean Martin himself, and each episode was as funny as the last. I highly recommend picking up this set to relive part of the A-List that Hollywood had to offer.